No stuffing means less mess! This classic Loofa Dog toy by Multipet has no stuffing whatsoever. 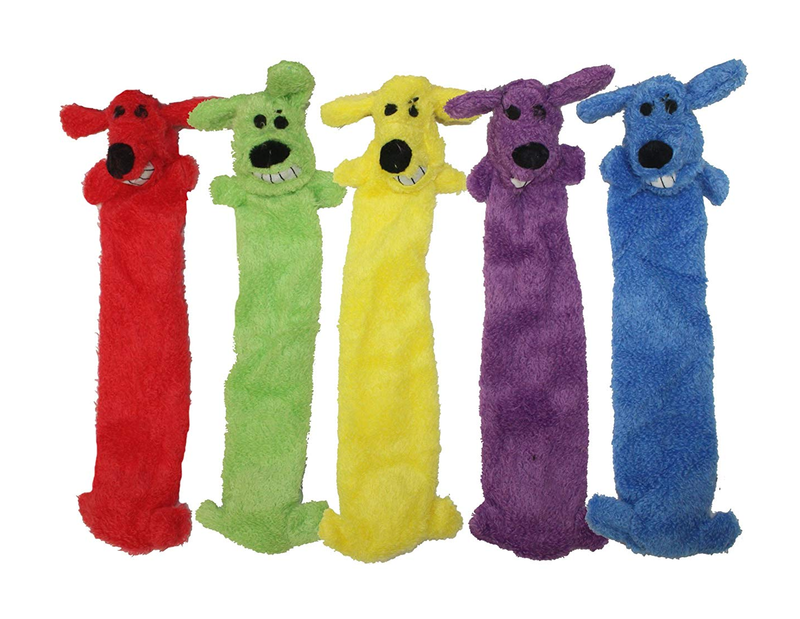 Lightweight and fun, this toy is perfect for pet parents that don't want the excessive mess. Complete with two squeakers, this toy is sure to appeal to your pup's playful desires at a wonderfully low price.